Adelholzener Alpenquellen is owned by the Congregation of the Sisters of Charity of St. Vincent de Paul. The Company’s proceeds are therefore channeled into numerous social welfare projects. Adelholzener Alpenquellen has its home in the Bavarian Alps in Southern Germany. It is here that the Company produces medicinal water, mineral water and soft drinks under the Adelholzener and Active O2 trademarks. Always at hand when you’re thirsty! 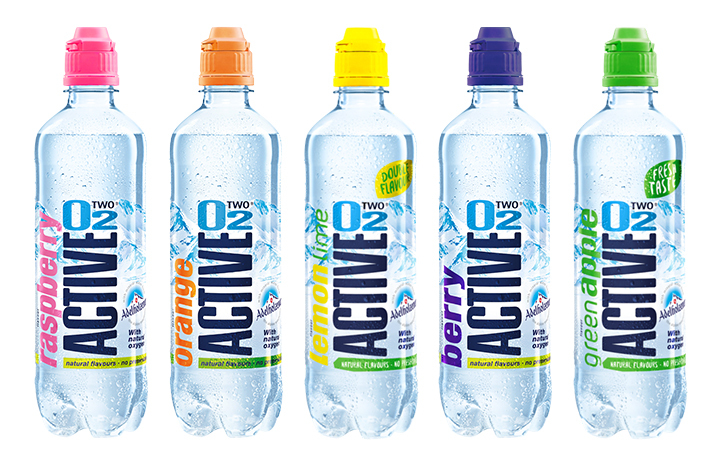 Active O2 is the perfect refreshment for all those out there who are thirsty for life: with natural Adelholzener mineral water, added oxygen and the distinctive taste of Active O2. Simply a must-have for everyone who’s active! ACTIVE O2 enhanced with 15 times more natural oxygen (compared to normal Adelholzener Mineral Water) and is the ideal companion during sports, in your time off or just for a quick and healthy boost of power. The Active O2 success story started back in 2001. Today people in more than 30 countries all over the world love Active O2 with its broad selection of flavours. Active O2 based on pure Adelholzener mineral water from the Bavarian Alps has added oxygen for perfect refreshment without carbonation. The oxygen gives Active O2 its distinctive, highly refreshing flavour. Available with light sparkling and in various flavours. Londou Trading became the exclusive distributor of Active O2 in 2007 and since then imports and distributes Active O2 water with great success in the Cyprus Market.